What the airlines marketed as a “no frills, you only pay for what you need ticket”, basic economy is nothing more than a money grab by airlines. Air fare didn’t go down. Instead, the cheapest fares became basic economy and higher fares became regular (traditional) economy tickets. Despite that, there may be flights (and ticket prices) where basic economy is worth the “savings”. It is important to know what basic economy is to know if it is a good deal. Basic economy is a type of air fare that the big three legacy US airlines introduced late 2016 to early 2017. Besides First, Business, and Economy tickets, they are selling basic economy tickets. Other airlines, such as Spirit and Frontier, only offer basic economy tickets. 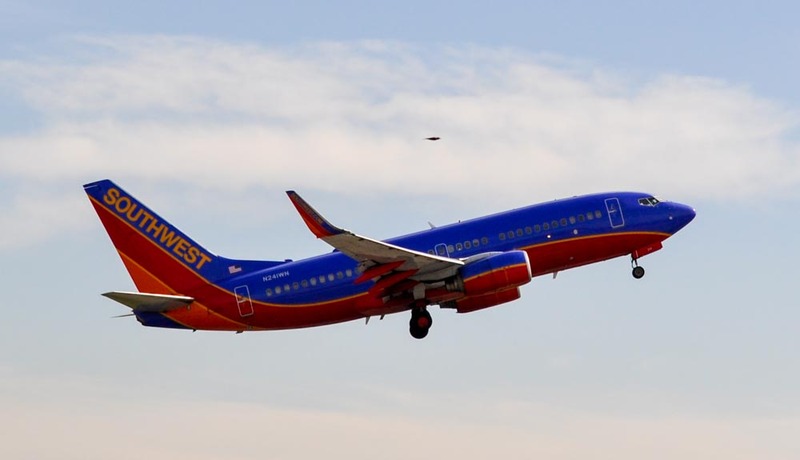 I’m omitting them from this post as it is rarely a good deal to travel on those airlines. At first basic economy was only offered on a very limited number of routes. Airlines have expanded it to almost every domestic flights (including some international flights). Basic economy is essentially a traditional economy ticket, but is much more restrictive. These restrictions vary between the three airlines, but are all similar. There are key factors to consider if basic economy is a good deal. I neither have status that gets me upgrades on any of the 3 airlines nor do I check a bag typically, so those differences are moot points for me. 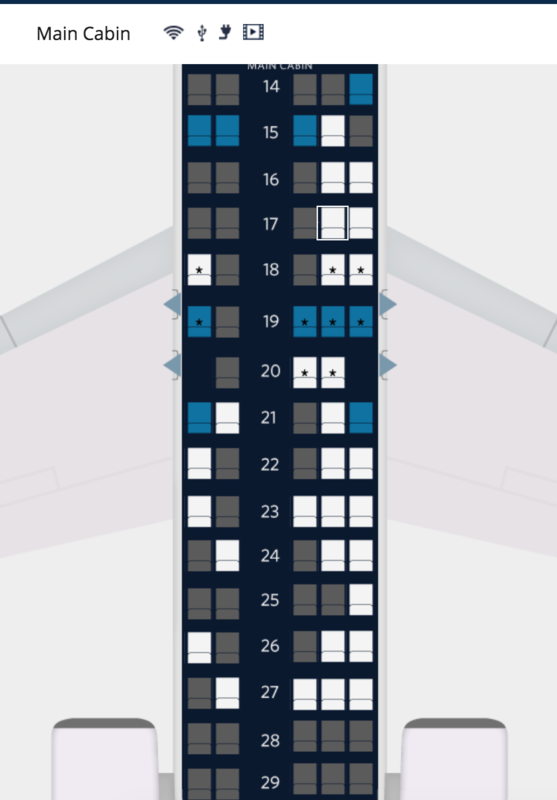 Looking at the table above, Delta is more lenient about your seat assignment, as you can change it when you check in for a flight. They also allow you to use the overhead bins so you don’t have to check your bag. 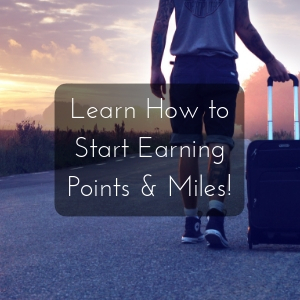 American doesn’t give you elite qualifying miles in case that is important to you. Those are not the only factor you should look at in figuring out if basic economy is a good deal. In fact, they should matter the least when comparing a basic economy ticket. The pie chart shows how I weigh the remaining factors. 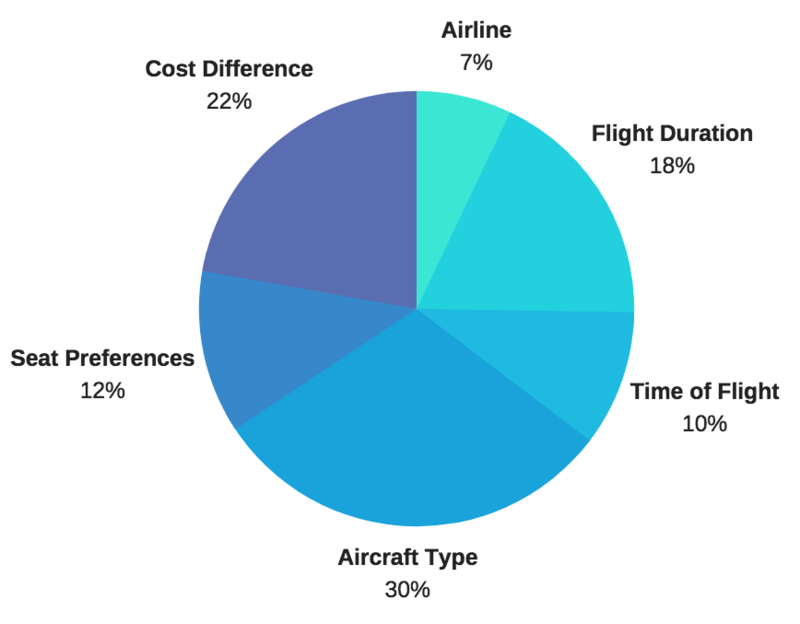 The aircraft type, duration of the flight(s), and cost difference of basic economy to regular economy are the biggest factors. What makes them so important? The kind of aircraft the airline uses is a big difference. Make sure you take a look at the seat map and see what the layout of the seats are. Most domestic flights will be on a single-aisle plane with 3 seats on each side of the aisle (3×3). Sometimes a smaller plane is used which might result in a 2×3 or 2×2 configuration; thus having less middle seats. Also, the longer the flight the less tolerable a middle seat would be. No one likes a middle seat, but if one is unavoidable then it’s better to be in one for as little time as possible. Basic economy will always be cheaper than regular economy. The bigger the difference the better chances are that basic economy is worth it. You may weight these factors differently than I do, but these should still be your top priorities. We have already established that Delta is the most lenient airline that offers basic economy tickets, so let’s stick with them. I recently flew Delta from Orange County, CA to Salt Lake City, Utah. Let’s examine the big 3 factors with this flight. The cost difference is $40 each way for a one hour 45 minutes flight. It’s on a Boeing 717 – which is a 2×3 seat configuration so there aren’t as many middle seats. While $40 doesn’t seem like a lot of money, the flight is short and there aren’t that many middle seats. So I felt like that was a good deal. On my outbound flight, I was in seat 17A which only has one other seat on that side of the aisle. Since Delta allows you to pick your seat after check-in, I was able to change to 20D on my return flight. For this instance, I felt like basic economy was worth it – definitely might not be next time. Basic economy might not be for everyone. Generally speaking, I don’t like the idea of introducing something under the guise of saving people money when passengers now just have to pay more to get what they had before. 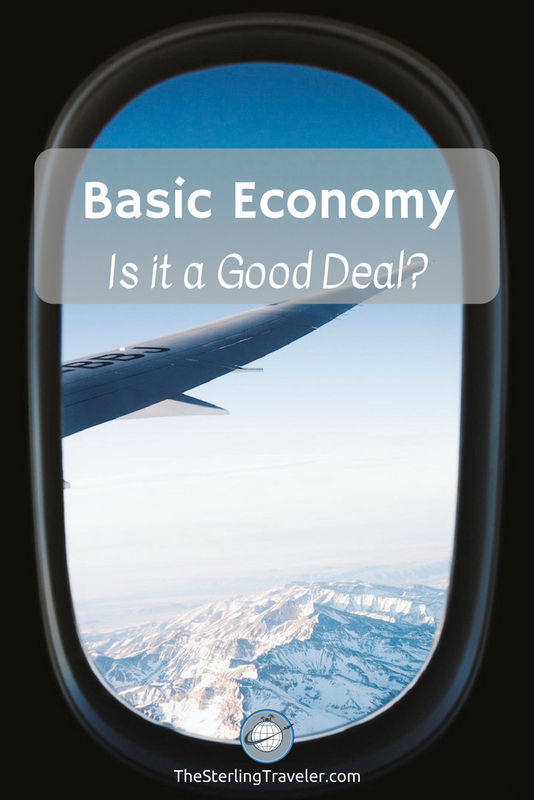 Unfortunately, basic economy is here to stay, but it can be a good deal. What are your thoughts about Basic Economy? Be sure to leave a comment below! I’m always available to answer any questions. I agree with the others – it is all up to you on what you prefer. It would also be better to spend that money on experiences you can enjoy once you reach your destination! Thank you for joining Fly away friday! Hope to see you tomorrow. You’re right, basic economy is quite restrictive – even in ways I didn’t mention! So glad you liked the post. I don’t like the idea of basic economy either. I realized that it is possible to save money as long as you don’t mind the restrictions. My latest trip was taken with a basic economy ticket, and I didn’t mind it. Interesting. New to the concept of basic economy. Long haul wise, economy definitely works for me. No issues watching movies and sleeping while a wee bit crowded. Basic is definitely a change up. Thanks for the breakdown here. I would prefer to save them money as well. However, I’m over 6 feet tall, so having a comfortable seat is important to me.